We assessed the value of MRI for delineation of dehiscence of the superior or posterior semicircular canal, as compared with CT, the current standard study for this entity. 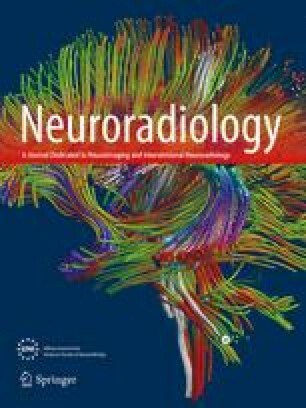 We reviewed heavily T2-weighted fast spin-echo images and high-resolution CT of the temporal bones of 185 patients independently semicircular canal dehiscence and its extent. In 30 patients (19 men, 11 women) we identified dehiscence of the bone over the superior and/or posterior semicircular canal on MRI. In 27 of these cases CT also showed circumscribed bone defects. In one patient dehiscence of the superior semicircular canal was initially overlooked on MRI, but seen on CT. MRI imaging thus had a sensitivity of 96% and specificity of 98%. Knowledge of the appearances of this entity on MRI may contribute to early diagnosis in patients with vertigo due to semicircular canal dehiscence.